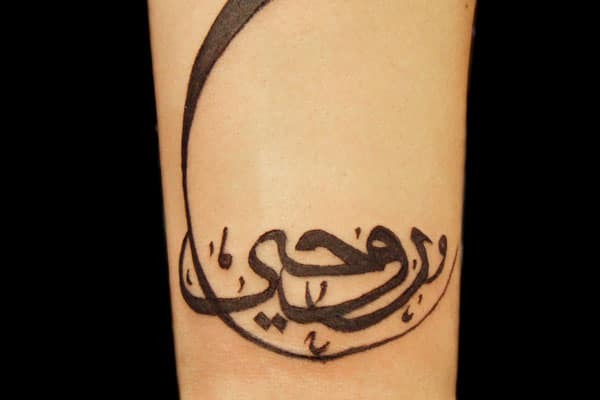 Arabic Tattoos do not only look royal, but they also look mysterious. A lot of people are fascinated by the Arabic language due to its cursive flow of letters which makes it look so heavenly. Despite the fact that some Islam believers think that Arabic tattoos are against their religion, there are still Arabs who are wearing them. There are many different designs and quotes of Arabic Tattoos. It can be a name of a person or biblical and spiritual words or phrases. Some people are just so attracted to the beauty of the script and do not really care what the words mean. The cursive letters of the Arabic language are so elegant and artistic. People who will gaze at it will likely get mesmerized by it. 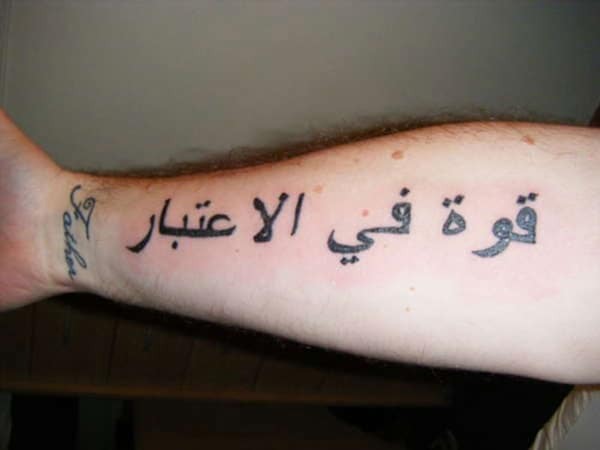 If you are fond of the Arabic language then the following Arabic tattoos can provide you some insights. This is the most important trait that we need in order to succeed. 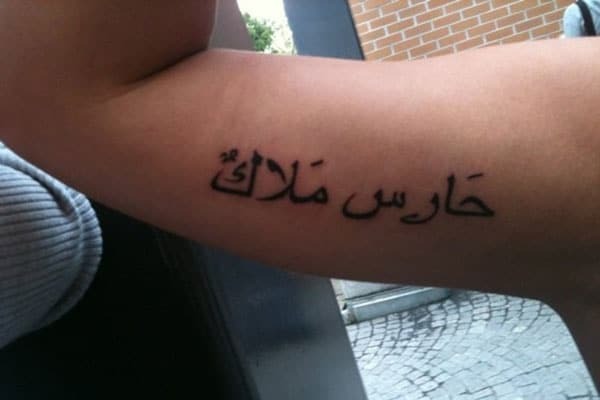 This is an inspiring Arabic tattoo which means strength. The Arabic words mean happiness, life and health. 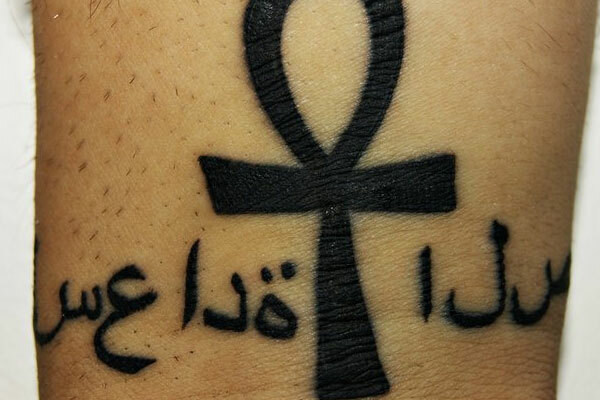 The symbol is an Egyptian cross. 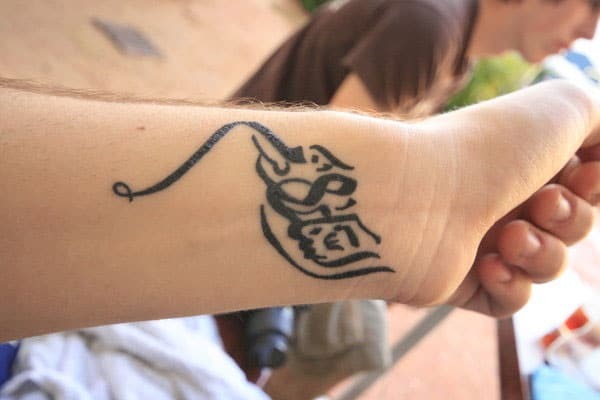 This Arabic tattoo is the name of the person wearing the tattoo. 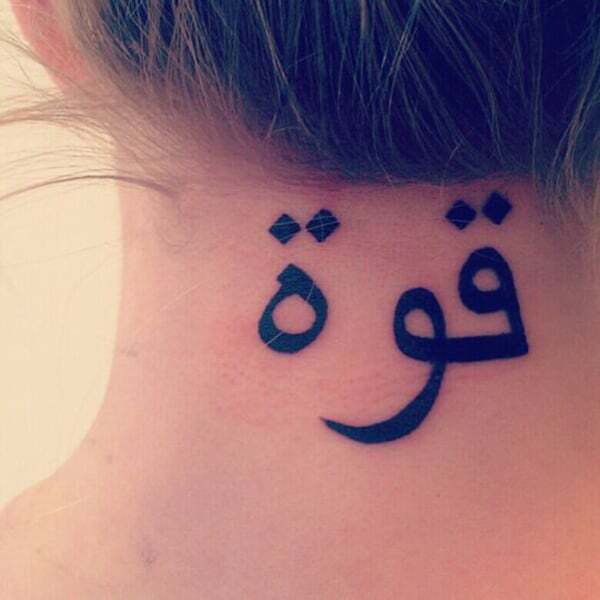 This Arabic Tattoo means “stay strong and just breathe“. 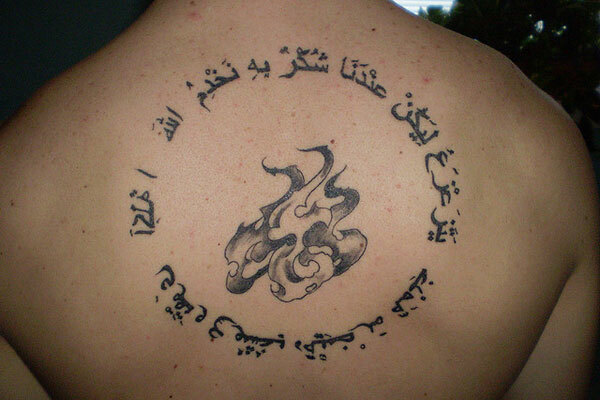 This is a spiritual Arabic tattoo design which means “for our god is a consuming fire”. 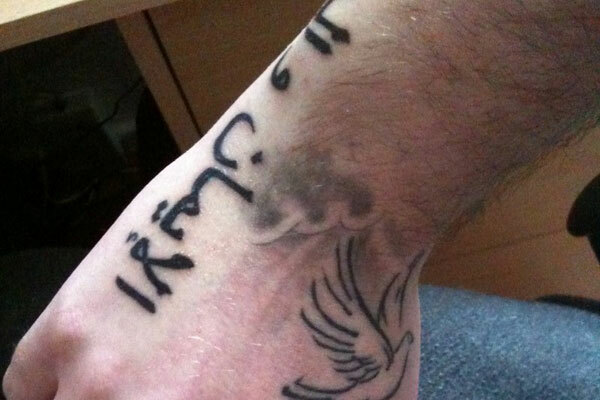 The words in this tattoo mean “faith, hope and love“. 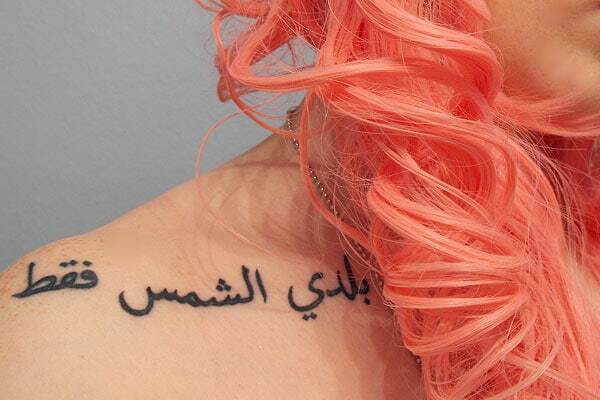 This tattoo which means “My Only Sunshine” looks gorgeous with the orange hair. A spiritual Arabic tattoo which means “guardian angel“. The two symbols in the tattoo signify peace and love. 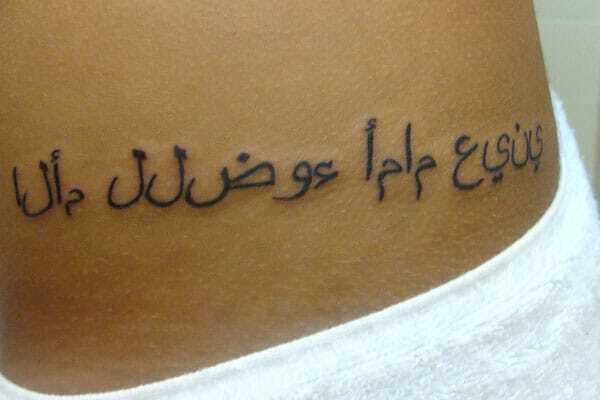 These beautiful Arabic tattoo words mean “my soul”. 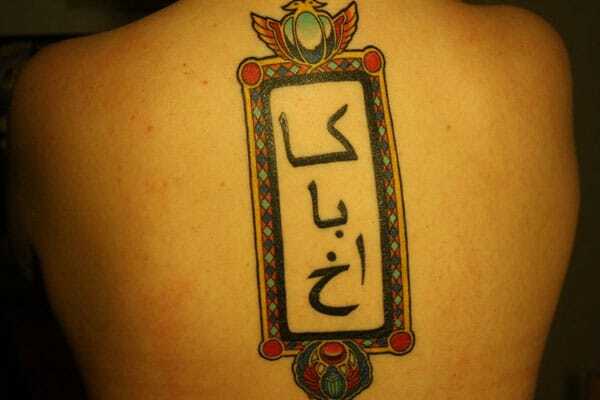 This tattoo is an Arabic word for beautiful. 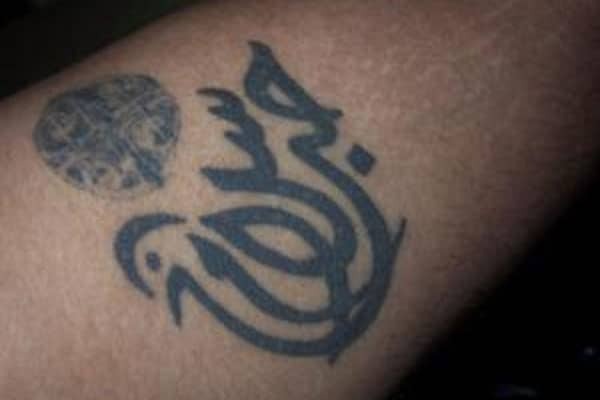 This tattoo is a symbol for peace which is “Al Salam” in Arabic. “Let the love rule”, this is the meaning of her back tattoo. 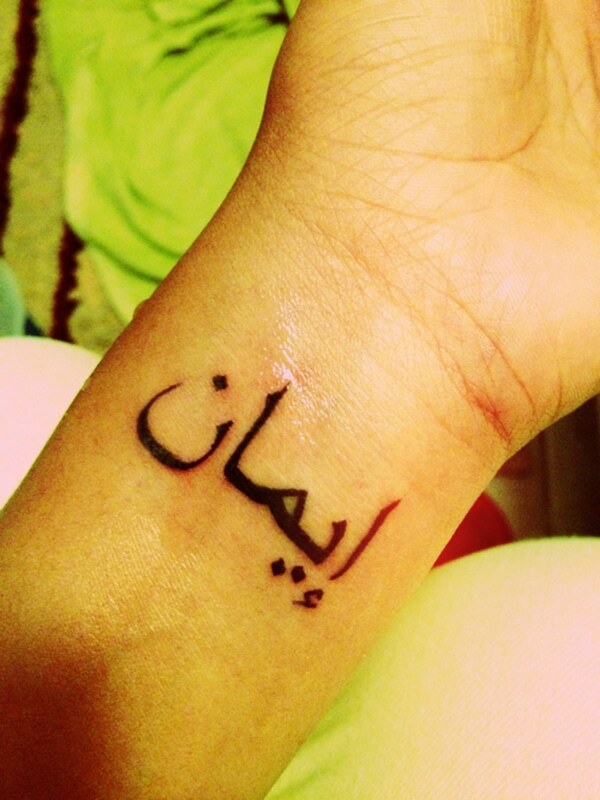 This gorgeous Arabic tattoo is the Arabic word for “princess“. A beautiful Arabic tattoo design with the word “soul” inside a rectangle. 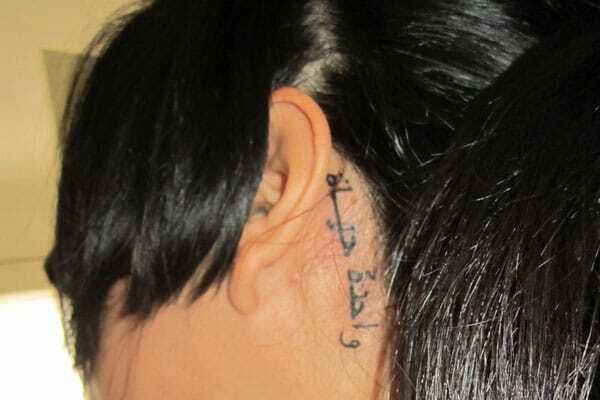 This Arabic tattoo behind the ears means “One Life“. A very meaningful tattoo for the person wearing it. 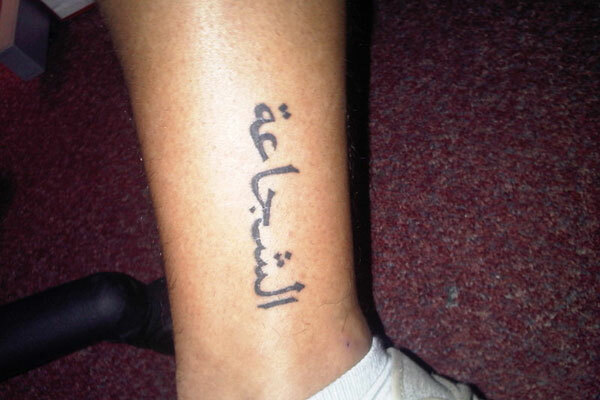 Arabic tattoo such as these words which mean “strength of mind“, can give us inspiration. 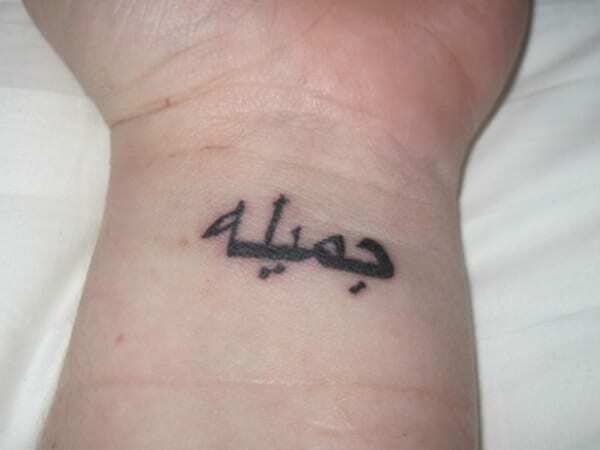 Tattoos are commonly placed on wrists such as this Arabic word which means “strength“. 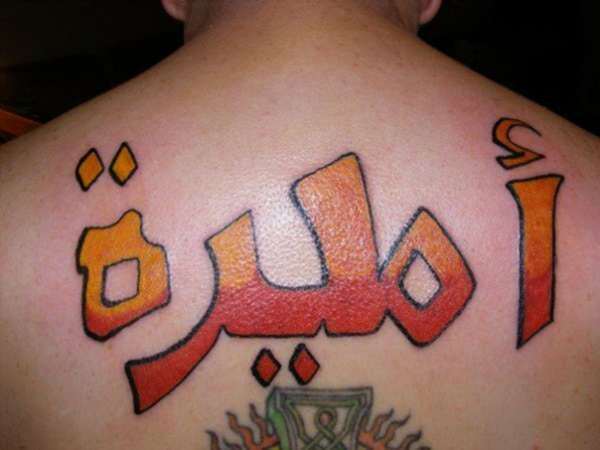 Arabic tattoos are worn by people who want to look attractive. It can also be combined with rose tattoos. 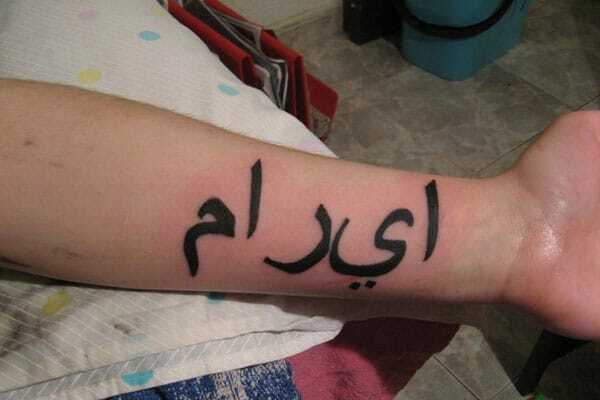 Arabic tattoos are also popular among celebrities such as Angelina Jolie, Selena Gomez, Rihanna and others. But tattoos and piercings are more than just a body art. According to a research, women who have the most tattoos are the ones who have more self-esteem. Are you getting one?